Our local grocery store had blue potatoes in stock, so we had a colorful take on our usual breakfast hash! 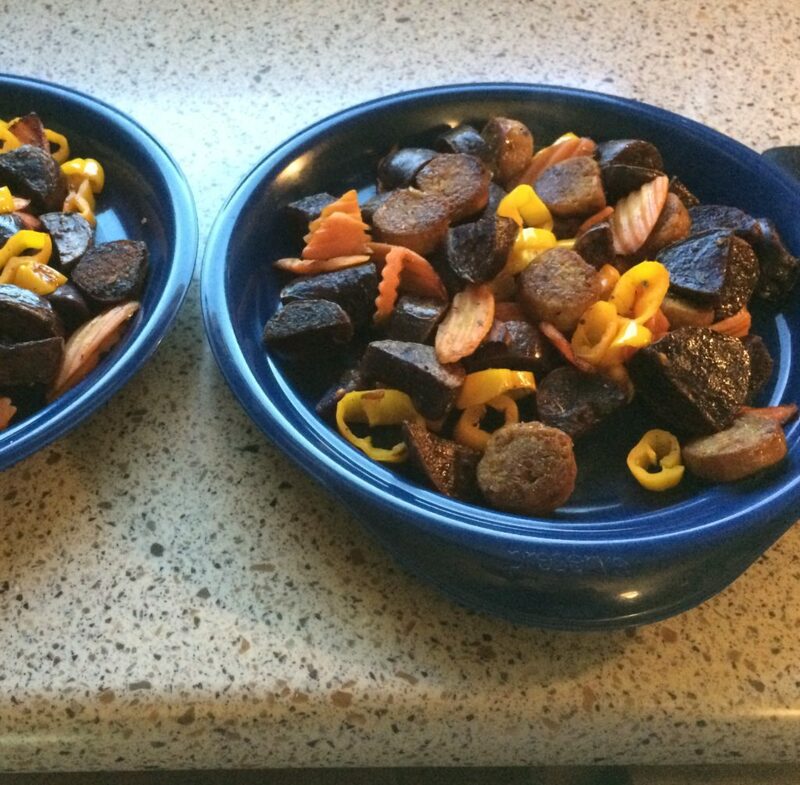 Made with blue potatoes, mini yellow peppers, carrots, and Beyond Meat hot Italian sausage. Subscribe to newsletter to be notified about new posts. Created with love by jmf.codes. Gluten-Free RV is a participant in the Amazon Services LLC Associates Program, and some links on this site are affiliate links. This means that there will be no additional cost to you if you buy anything, but we receive a small percentage of your purchase as a commission. Your shopping is confidential: we will never know what you buy or if you buy anything.